EU adopts proposal to revise system for shipping emissions monitoring The European Commission adopted a proposal on February 4, to revise the EU system for monitoring, reporting and verification of CO2 emissions from maritime transport. This aims to take appropriate account of the global data collection system for fuel oil consumption of ships established by IMO. The goal of the proposal is to facilitate the harmonious implementation of the EU MRV and the IMO DCS, while also preserving the objectives of the current EU legislation. Namely, to keep the collection of robust and verified CO2 emissions data at individual ship level to stimulate the uptake of energy efficiency solutions and inform future policy making decisions. By streamlining some aspects of the two monitoring, reporting and verification (MRV) systems such as specific definitions or monitoring parameters, the proposal aims at reducing the administrative burden and associated costs for ships having to report under both systems. 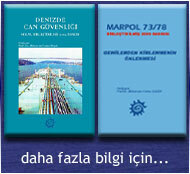 The main objective of this proposal is to amend the EU MRV Regulation in order to take appropriate account of the new global IMO DCS, with a view to enable the streamlining and reducing administrative effort for companies and administrations as possible, while at the same time preserving the objectives of the EU MRV Regulation. Speaking about this development, NGO Transport & Environment (T&E) said that publishing data about the emissions of all ships calling at EU ports, will give incentives to shipping companies to reduce their CO2 while also better informing regulations to reduce emissions. It added that, the transparency of the EU system, 'unlike the IMO’s data collection system (DCS)', will prevent dirty ships to pass as efficient. The Commission's proposal also includes other key elements of the EU’s MRV, such as reporting data showing ships’ air pollution in ports. Faig Abbasov, shipping officer at Transport & Environment, mentioned: Shippers need to be able to identify the most efficient ships to cut their fuel costs and climate impact. The EU’s system provides this high quality data which will also influence the ambition and the effectiveness of climate measures in the shipping sector. Without accurate data collection, the reduction measures won’t be worth the paper they are written on Nevertheless, the NGO believes that the Commission caved in to pressure to remove the obligation on ships to collect and report cargo data, something that is important for analysing the real-world performance of ships. Currently, the IMO system excludes shipping companies from collecting data about their cargo.